Memorial Day weekend is a great excuse to rest, relax, and (arguably the most exciting part) shop. For any beauty fanatic, this probably means scoping out the intense product selection at your nearest beauty emporium and taking advantage of any money-saving promotions. But does Sephora have a 2016 Memorial Day sale? 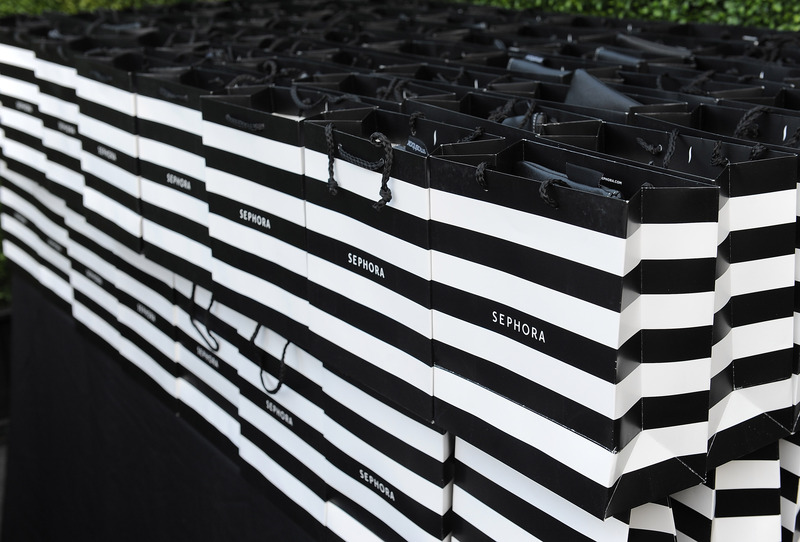 A Sephora PR representative told Bustle via email that they "don't have any information to share on Memorial Day Sales," so if you were holding your breath to hear about a major, money-saving deal at Sephora next weekend, you might be out of luck. As any fashion or beauty shopaholic can tell you, the three-day weekend is a major shopping event since many stores put on promotions to draw people in on their day off. Last year Fashionista reported a list of major brands and stores having Memorial Day sales. Nordstrom, Topshop, Opening Ceremony, and even Barney's were putting on promotions for the weekend, ranging from 40 percent off clothing items to an additional percentage off clearance items. I'm sure many of these stores will be hosting sales once again this year, not only to get more foot traffic but also to clear their space for new items for summer. It's easy to see why shoppers might be surprised that Sephora doesn't appear to be having any Memorial Day promotions. However the brand does offer deals for customers throughout the year, whether it's three free samples at online check out, special benefits for V.I.B. (Very Important Beauty Insider) members, or buy one full sized item and get a deluxe sample free. Perhaps the lack of a Memorial Day sale is because the makeup industry is less seasonally driven than the clothing industry. Either way, if you're looking good to get some major deals at Sephora, might I recommend earning that V.I.B. Rouge status and holding out for the next sale? But let's be real — if you had your heart set on snagging those new Pat McGrath highlights or more Kat Von D Everlasting Liquid Lipstick colors, you'll probably walk into the store on Memorial Day and buy them anyways.